Mark during a set of KB snatches. Training, competing and an obsession with movement have been my passions and my life for over 40 years. From the moment I stepped foot in a gymnastics gymnasium at age 14 I knew I had found home. Gymnastics taught me a love of pure movement and an appreciation for what the human body can do. As well as its frailties. It also taught me to look at movement with a discerning, disciplined eye. Endurance training taught me to breathe and to keep going on, no matter what. Marathons, ultra marathons and triathlons were tests of the mind as well as the body and showed me the power of asceticism and how much the body can really do. Strength training and powerlifting taught me focus and power and intent. The creation of force from a single thought and how to bring that force to bear in an instant. And how hard heavy loads can be to a simple human frame. Coaching and teaching have always been as natural to me as breathing. I love to help others experience the joy of strong movement and physical courage. 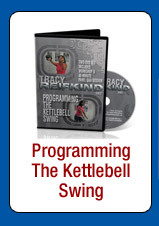 And now back full circle with kettlebells. Back to swings and the weightlessness of gymnastics, the heart pounding cardio intensity of climbing hills on a race bike and the focused grinding strength of the powerlifts. And, best of all, the simplicity and purity of running, where all one needs is some shoes and some road all I need is one kettlebell and some floor. Owner - Girya Kettlebell Training, Senior Russian Kettlebell Instructor. Mark at The Ironman Competition 1985. There are many ways to build strength. 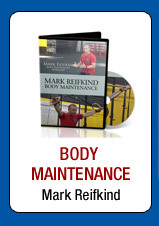 After years of athletic competition Mark has concluded that Kettlebell Training offers the best path to overall fitness, physical stability and stamina. Competitor and consistent top 3 finisher in state level bodybuilding competitions.